and the body, giving the entire kettle a smooth surface, so that water boils quickly and efficiently. The handle and knob are highly heat-resistant, shockproof and designed for a firmer grip. Strong rivets are used to achieve greater insulation production. The lid is large for easier cleaning and hygiene. 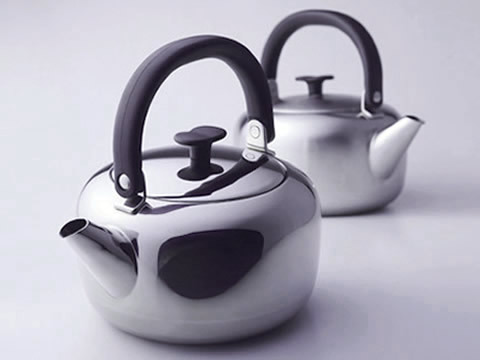 The kettle is designed with safety features so that it may be used for a long time. Winner of 2008 Good Design Award. The Product can be used on the following heating appliances. IH200V, electromagnetic cookers and gas heaters.